So far Peter Davies has created 11 blog entries. Micrima, the Bristol-based breast imaging company, has raised £4.4 million in additional equity funding led by Technology Venture Founders, The Angel CoFund (ACF), and Venture Founders plus a group of returning and new individual investors. This brings the total amount raised by Micrima to £10.7m. dotdigital Group Plc (AIM:DOTD), the leading provider of intuitive software as a service (“SaaS”) and managed services to digital marketing professionals, through the ‘dotmailer’ platform, announces that it has completed the acquisition of the COMAPI group of companies. COMAPI (the trading name for Dynmark), a fast-growing business focused on the omni-channel messaging and cloud communication market, has been acquired for a cash consideration of £11 million. Headquartered in Cheltenham with approximately 30 employees, COMAPI has built a scalable software platform that allows businesses to communicate with their consumers across multiple conversational messaging channels including the growing market for live chat. Comapi’s heavy investment in technology allows it to compete in the CPaaS (communication platform as a service) and ARN markets (alerts, reminders and notification), providing a flexible API (application programming interface) based omni-channel messaging platform and toolkit that facilitates easy integration and rapid deployment to businesses requiring a personalised and two-way customer engagement solution. COMAPI is a successful brand with strong growth and revenues within the CPaaS market and, with dotdigital’s full support, will continue to work directly with its customers, which include Gap, eBay, TSB, British Airways, Carphone Warehouse and Collect Plus. dotmailer and COMAPI already have numerous shared clients which include Superdry, Hayes Recruitment, Daisy Group and betting giant Ladbrokes. Symetrica have been announced as the winner of the Venture Category at the British Private Equity & Venture Capital Association’s (BVCA) South West Management Team Awards 2017. Now in their ninth year, the BVCA Management Team Awards recognise and reward brilliant businesses up and down the country that are backed by UK private equity and venture capital investors. 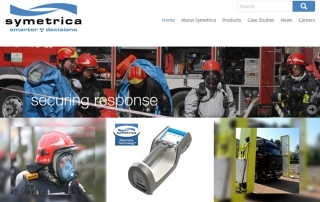 Symetrica will now go forward into the national final to compete against the other UK regions before the national winners are announced at the BVCA Gala Dinner on 30 November in London. Atlas Genetics Ltd., the ultra-rapid Point-Of-Care (POC) molecular diagnostics company, today announces completion of its Series D financing, raising $35 million from a syndicate including all Series C Investors and one new investor, Wondfo Biotech. Development of the Atlas Genetics io® system has been completed with the successful CE marking of the Chlamydia trachomatis (CT) test announced in February 2016. This new Series D equity issue will finance the clinical trials and commercial launch of a second test, for detection of both Chlamydia and Gonorrhoea, planned for regulatory approvals in the US around the end of 2017, as well as further development of additional diagnostics menu. The financing also provides funding to expand cartridge manufacturing capacity at Bespak, Atlas Genetics’ cartridge manufacturing partner. Micrima, the Bristol-based breast imaging company and developer of a ground-breaking and CE Mark approved radiowave breast imaging system, has successfully closed on a new financing round of £2.6m. The new funding will support accelerated development of its patented MARIA technology, which aims to enable breast screening to become safer, more comfortable and more accessible to a larger proportion of the global female population. 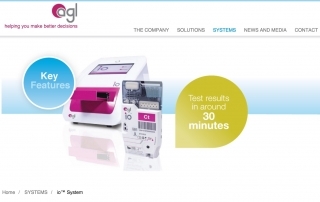 The company intends to start the commercialisation of its first system towards the end of this year. TVP portfolio company, Covalent Software, has been acquired by Ideagen Plc, the UK AIM listed provider of information management software to regulated industries. For Covalent the deal provides significant future growth opportunities in its core financial and public services markets as well as opportunities for the enlarged group to expand its governance, risk and compliance (GRC) presence in healthcare, local government, finance and banking. 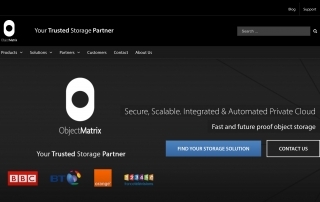 Object Matrix, the trusted storage partner to the media and entertainment industries, today announces that Sky, Europe’s leading entertainment company with over 21 million customers, has integrated MatrixStore object storage into Avid Interplay production workflows at its headquarters in London. Sky is Europe’s leading investor in television content, with a combined programming budget of £4.9bn, commissioning its own original programming and entering into strategic partnerships to deliver the best possible TV viewing experience for customers. With production infrastructure often used to capacity, the Sky production team looked to find a solution that could not only scale into future workflows but also take the strain off the editing storage with seamless integration into current workflows. Technology Venture Partners the technology venture capital firm has announced the appointment of Richard Green as Non-executive Chairman. Richard Green joined Kleinwort Benson Development Capital in 1988 and was a founder in 2001 of the spin-out business which became August Equity LLP, where he was the Managing Partner until 2009 and then Chairman until his retirement in April 2014. He is a past chairman of the British Venture Capital Association and is currently a non-executive director of AIM-quoted Qannas Investments Limited, a non-executive director of Northern Venture Trust PLC, a member of the Advisory Board of Finance for Business North East and a member of the Advisory Committee of the European Investment Bank’s Growth Finance Initiative.